Guangzhou Salvage Bureau of the Ministry of Transport has signed an agreement with Zhejiang-based Rich Offshore to establish a joint venture to serve the offshore wind market. 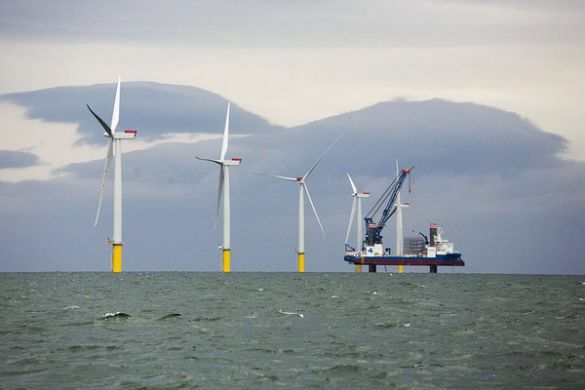 The joint venture will be focused on the engineering and EPC businesses for offshore wind projects. Rich Offshore mainly offers design consulting and engineering for the offshore wind field, and it currently operates one wind-turbine installation platform and has another two on order. Amid the promising prospects in the offshore wind market, more Chinese players have joined the sector. At the end of December, Fujian Shipbuilding Industry Group also established an offshore wind engineering joint venture with state run China Railway Major Bridge Engineering Group and China Three Gorges New Energy Company.